Jeb Bush is trying to distance himself from Common Core. Bush has previously described the standards as “poisonous politically,” but on Friday, he seemed thoroughly exasperated by the term itself and looked to move past it. “I’m for higher standards – state-created, locally implemented – where the federal government has no role in the creation of standards, content or curriculum,” Bush said in Iowa. He doesn’t say that the government should have no role in creating assessments. Strategic omission since the federal government obviously funded two Common Core assessment consortia, PARCC and Smarter Balanced. Jeb Bush arrived very late to the “I just want higher standards” party, but here he is, nonetheless. 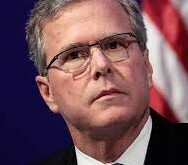 However, Jeb Bush knows full well the well-founded criticisms of the Common Core. On December 1, 2011, the American Legislative Exchange Council (ALEC), an organization in which Jeb Bush is active and highly influential, actually passed a model resolution opposing Common Core, the purpose of which was for legislators to carry back to their Common Core-endorsing states in order to formally oppose Common Core. WHEREAS, local education officials, school leaders, teachers, and parents were not included in the discussion, evaluation and preparation of the standards that would affect students in this state. Over the weekend, the American Legislative Exchange Council (ALEC) rejected an anti-Common Core bill, thus completing its 18-month exploration of the Common Core State Standards.This action reaffirmed ALEC’s position that states should be in charge of their education standards and supports the option for states to freely adopt Common Core. Jeb Bush influenced ALEC to ditch its detailed resolution against Common Core. For Bush’s FEE to insinuate that a non-official piece of ALEC-generated model legislation would somehow have “tied legislator hands” is not enough to conceal the hypocrisy that the ALEC about-face was a Jeb Bush effort to “tie legislator hands” in favor of Common Core. … [Bush] made clear he would not shrink from views scorned by the dominant wing of the party. He defended his commitment to the so-called Common Core set of educational standards. “I just don’t feel compelled to run for cover when I think this is the right thing to do for our country,” he said. “We should be willing to experiment. We should always look to improve our thinking based on the evidence. This is why the debate over the Common Core State Standards has been troubling,” he said Thursday in a keynote address at a gathering of Foundation for Excellence in Education, a group he founded after his tenure as Florida governor ended in 2007. In November 2014, Bush was certain about his push for Common Core. In November 2014, Bush’s very public view was that America should be willing to “experiment” with Common Core. Now, he could not ask America to consider the evidence that Common Core would actually deliver since the experiment must precede the “wait and see.” However, Bush does not promote Common Core “results” as “wait and see”; he promotes Common Core as the Known and Recognized American Public Education Solution. But that was nine months ago. It’s now August 2015, and the political pressure to remain wed to Common Core has Jeb Bush reckoning with a Common Core poison that apparently has given him some amazing memory loss. He isn’t even sure what Common Core means anymore. According to RealClearPolitics, in the Iowa Republican Presidential Caucus for August 7 – 11, 2015, Bush is sitting at 7th place. His Common Core faithfulness is albatrossing his efforts at being the third Bush to reside at 1600 Pennsylvania Avenue. will prevail sustaining the correct chemical balance in the blood stream to thwart depression and low self-assurance. to protect and serve but also to civilians. Time for a March in Washington, D.C. to Stop the Iran Nuke Deal Tim Tebow signs Bible for Eagle’s Fan — Atheists up in arms!